Refill pans for the Derwent Inktense Paint Pan Travel Set. A new way of painting with Derwent Inktense - the unique Inktense formulation found in Derwent's Inktense Pencil and Block ranges available in a paint. 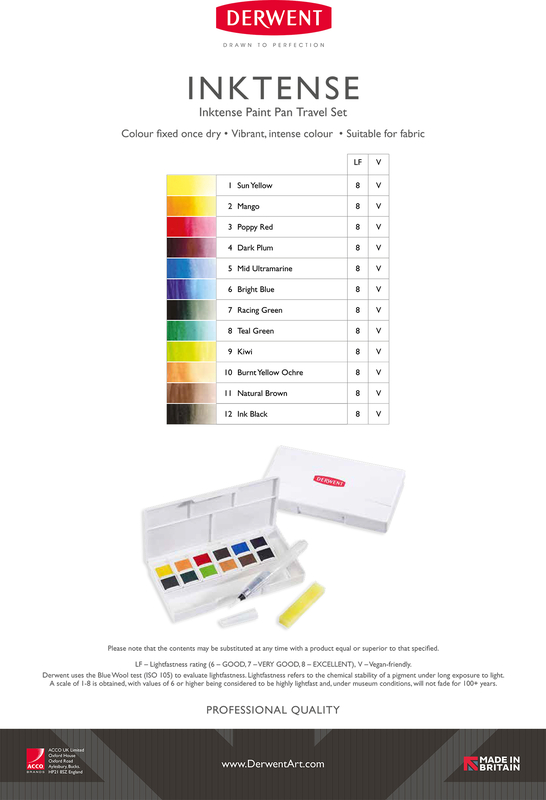 Unlike traditional watercolour, washes of vivid paint can be applied without dissolving previously dried layers. This means you can build up colour and create shadows and tone with underpainting. The ink-like colours are vibrant and intense, and are permanent once dried.